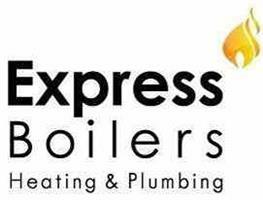 Welcome to Express Boilers Ltd. The boiler repair, central heating and plumbing company with a difference. Based in Teddington, Middlesex, we believe in an efficient, personable and valuable service – every time. Let's be clear – boilers, plumbing and heating can often be the most neglected resources in the household, but they can also be the most crucial in maintaining a cost-effective, energy-efficient home for the future. That's why you don't always have to wait until you find a specific problem – we'd love to hear from you anytime. Boiler health checks, tap replacement, gas engineering; versatility is our mantra. No matter the challenge, our friendly, fully-qualified team of Gas Registered, Valliant and Worcester accredited engineers are available year round, to secure your home. The second you call, we are ready. Whether it is best to complete the job on site or to action a full boiler installation, a full cost breakdown and inspection of services is always implemented. Here at Express Boilers Ltd we are proud to be praised for our honest, competitive, service-driven customer experience. This is attested by our numerous customer reviews, which you can read here. Be sure to check them out before giving us a call.